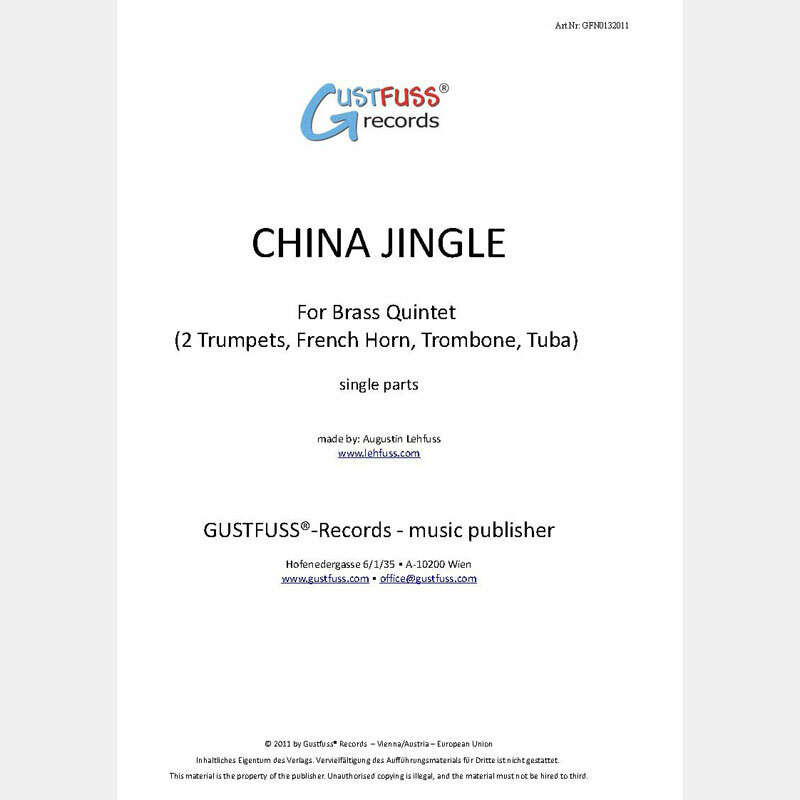 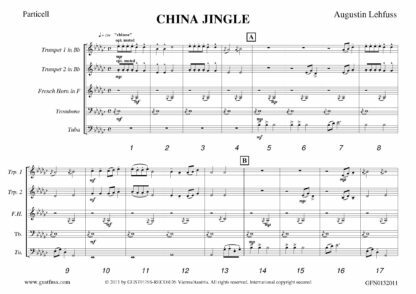 The famous christmas tune “Jingle Bells” in a funny chinese-like version for brass quintet – suitable for early intermediate players (students). 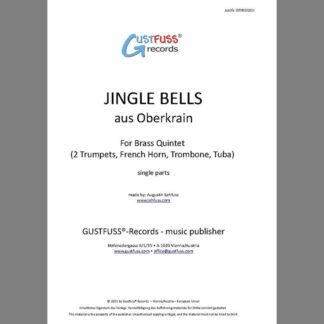 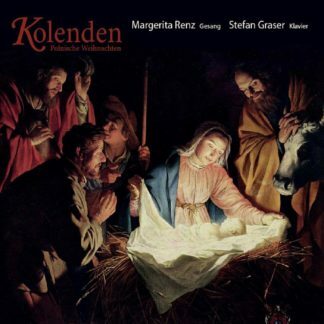 The famous Christmas Song “Jingle Bells” was arranged by Austrian Composer/Arranger Augustin Lehfuss on request of German “Rennquintett” – as part of the “BQ Jingle Bells Compilation” it is suitable to every christmas concert, f.e. 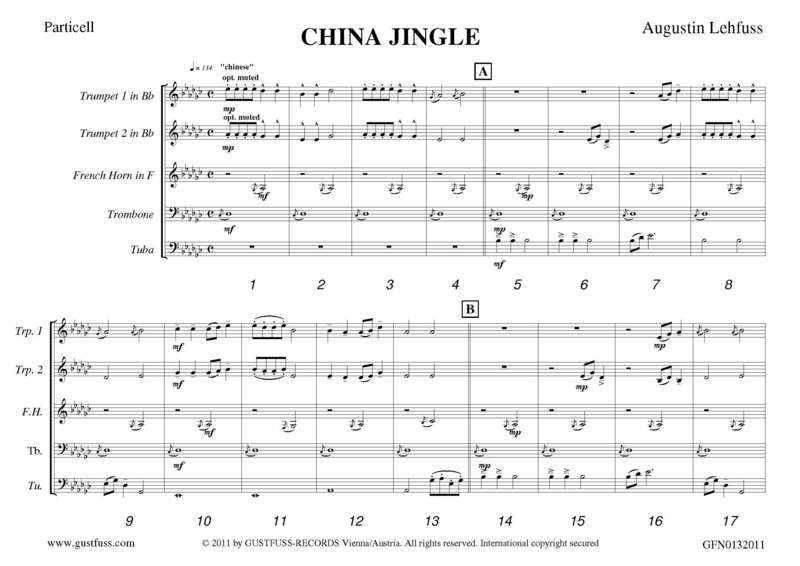 as a short funny da capo piece. 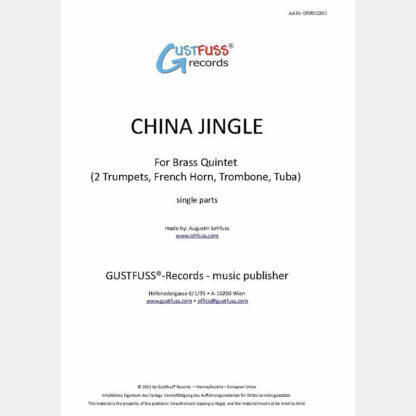 A short prewiev can be listened at below.